ESCANABA – Ludington Park has been transformed for the Toyota Bassmaster Angler of the Year Championship that is being held this weekend in Escanaba. The competitors take off at 7:30 this morning. Weigh-ins start at 4 o’clock this afternoon. Event operations director Eric Lopez says the event will be entertaining for those who attend. On Saturday, Lopez says the professional fishermen will be available to talk about fishing. “Saturday is an off day from the fishing component. We are hosting what we are calling Bassmaster University. Since none of the pros will be fishing, this is the only opportunity in the entire year where fans have the opportunity to get up close and personal and learn from the pros,” he said. The four day event ends Sunday with the awarding of a $100-thousand prize. The favorite to win is Greg Hackney of Gonzales, Louisiana who has a 15-point lead going into the tournament. After three days of practice on the Bays de Noc, Hackney says he thinks he’s capable of catching a five-bass limit weighing near the 20-pound mark. 7:30 a.m. The full field for the Toyota Bassmaster Angler of the Year Championship launches on Bays de Noc. Public launch viewing is available from the North Shore Public Boat Ramp. 4 p.m. Official weigh-in takes place at Ludington Park. 11 a.m. – 6 p.m. Bassmaster Fan and Military Appreciation Day begins at Elite Series Expo. 11:30 a.m. Welcome and interview with Angler of the Year leader on the Bassmaster Elite Series main stage. 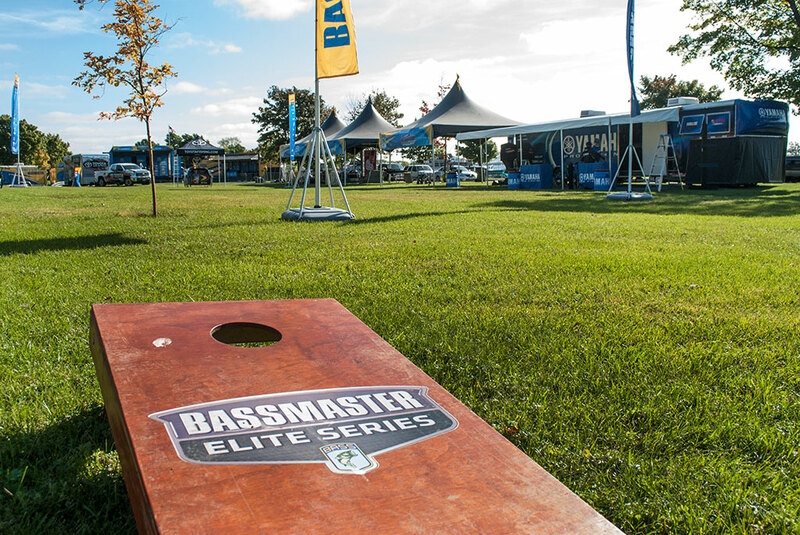 12 – 4 p.m. Bassmaster University begins with seminars from professional anglers and B.A.S.S. staff. 4 p.m. Top 6 anglers will take the stage for a panel discussion with Bassmaster Emcee Dave Mercer and The Bassmasters host Mark Zona. 12 p.m. – 6 p.m. Bassmaster Elite Series Expo with national vendors opens for the day. 4 p.m. Official final weigh-in for the Toyota Bassmaster Angler of the Year Championship winner starts at Ludington Park. Share the post "Bassmaster Angler of the Year Championship gets underway in Escanaba"